In a prior post, I observed that the apparently-successful subscription offerings for books were in niches. And I said I believed that a more general subscription model wouldn’t work for ebooks the way it has seemed to work for music (Spotify), movies and TV shows (Netflix), and audiobooks (Audible). By that I meant two things. First of all, it will be impossible for any aggregator to secure the rights to anything like enough of the most appealing titles to deliver an offering comparable to what’s succeeded in other media. But even if they did, that kind of offering wouldn’t deliver nearly as much value to the book reader as general subscription offerings do in other media. The latter point is based on intuitive speculation. The former is based on an informed view of the commercial realities. Let’s briefly reiterate the case about consumer appeal. The number of songs, movies, and even audiobooks a subscriber might use in a month (the normal billing period for any subscription, so a relevant unit of measurement) dwarfs the number of books most people would read or refer to. And the heaviest readers — people who read several books a month — are often in genres (romance, science fiction) that already have subscription offerings. They don’t need a more general one. So the price a subscription offering can command for general ebooks is almost certainly lower in relation to an individual book purchase than the price that can be charged in other media in relation to purchase. That was reflected in the thinking of the fledgling company that got me started writing these posts. They wanted to go to market with a subscription price of about $5 a month, which is less than Spotify, Netflix, or Audible! But it will be very hard for them, or anybody else, to put together a title base sufficiently appealing for that offering to work commercially. Big books that consumers know about and want drive them to the points of acquisition for the title. When bookstores talk about how sales are going, they almost always cite the particular books that are driving traffic to their stores (or bemoan the fact that there haven’t been enough of them). That’s why booksellers heavily discounted Harry Potter titles the day they came out and why Book-of-the-Month Club and Literary Guild promoted the availability of the biggest bestsellers they had rights for in their advertising. Everybody in trade publishing understands this effect. Publishers “overpay” for big books because they know the control of them provides critical leverage dealing with bookstores and wholesalers. BOMC and Literary Guild would bid up the prices for rights to predictable bestsellers beyond what the books would “earn” in royalties on book club sales to gain the value those books had bringing members into the Clubs. When consumers tie themselves into a subscription service, the power equation shifts for those people. Some of the power of the titles that brought in the consumer is transferred to the owner of the subscription service. If there is enough of value to keep the consumer from looking elsewhere for more content, that can provide great leverage. It creates enough leverage that Audible can flip the 70-30 model and pay publishers 30% of the attributable revenue for digital downloads of their audiobooks. Since they are the content providers for both iTunes (Apple) and Amazon (their parent company), they have an effective monopoly on audiobooks sold that way. Any publisher that doesn’t want to agree to that split for the subscription business, and I know of at least one very big one that doesn’t, effectively has to live without most of the digital download market for their audio titles. But less cost to consumers means less revenue to be divided by creators. And book authors can’t expect to collect on “repeat reads” the way music creators can collect on “repeat plays”. So, from an author’s perspective, putting content into a general subscription service threatens to build up the leverage for a market channel that will almost certainly find it less necessary in the future to pay high prices for incremental content. Users of subscription services, he explained, are attracted to the services by the presence of authors they want to read. But once they are members and paying a monthly fee, their dollars are earmarked for the service rather than to the acquisition of individual discrete books by individual authors. Lipskar can imagine a subscription service more along the lines of the traditional Book-of-the-Month-Club, in which readers are aided in their discovery of titles by a curatorial/editorial process that helps to select quality titles and, even more important from a commercial perspective, in which the reader’s monthly fee just funds a discount on a discrete monthly purchase. 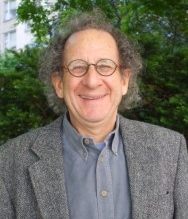 Lipskar says that for a subscription service to be embraced by authors and publishers, the economics would have to favor authors and their publishers to a much greater extent than the models currently on the market. On that note, the one thing he said he simply could not imagine would be good for authors (or publishers) on any level would be the “all you can eat” model like Spotify, which he believes has spawned a broad feeling within the music business to be a very effective means of transferring the financial value of music from the creators to Spotify. Because of that, major publishers will never do anything that would distress the major agents. It doesn’t really matter whether a close reading of a contract would give a publisher the “right” to put an author’s work into a subscription service. If the publisher believes the author’s agent would react adversely to them doing that, they’ll be very disinclined to do it. And some agents might well react adversely to their doing that for any book, not just one under contract to that agent, because agents for big authors who think the way I’m describing don’t want to see subscription services enabled at all! So that’s why I believe that fledgling subscription services have practically zero chance to get major publishers to commit major books to their pool of available titles. Of course, there is one entity that might make subscription for general books work and that’s Amazon. They are actually already trying to pull this off even though their efforts have apparently been unanimously rebuffed by the biggest publishers. The Kindle Owners Lending Library (KOLL) is offered to “subscribers” to Amazon Prime, the retailer’s overall package of “loyalty” benefits offering that start with free shipping. KOLL allows a loan of an unlimited length, so it is, in effect, a cat’s paw for an ebook subscription program. Amazon is only now able to offer a robust selection in that program because of a combination of its willingness to spend and the ebook contracts it has with most publishers aside from the Big Six, as well as a very large pool of self-published titles in Kindle Direct Publishing KOLL has not — so far — noticeably damaged the ability of the publishers to sell their “branded author” ebooks successfully. The ebooks from successful authors are still benefiting from a “power law” distribution of sales (things tend to move that way in the Internet world) that favors the biggest SKUs. Amazon has marketplace clout that dwarfs that of any fledgling with a great idea and they went to great lengths to build up a robust title repository for the KOLL debut. Still, when they launched in November 2011 they only had 5,157 titles which they said included “over 100 current and former New York Times Best Sellers”. It wasn’t an impressive selection. 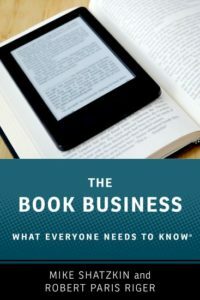 But the wholesale purchasing terms under which Amazon acquires the ebooks of all publishers except the Big Six apparently enable Amazon to lend any title it wants to, as long as it purchases a copy to lend each time it does so. And it is in the ether that Amazon offered publishers a lot of money to put titles into this program. They have an impressive list of publishers whose work they are offering — including Scholastic, Norton, Bloomsbury, Grove/Atlantic, Workman/Algonquin, F+W Media, Lonely Planet, Rosetta Books as well as their own publishing imprints — but there’s no way to know how many of them went for the deals being offered or which ones are included simply because Amazon is buying a copy of any ebook from them each time a customer wants to borrow one. And while agency pricing rules are definitely a barrier that makes it more difficult for a Big Six publisher to participate, there seemed to be no burst of creativity on any publisher’s part to figure out a way around it. So Amazon is, in effect, conducting an experiment testing my theory that a general subscription offering won’t be a powerful magnet. For now, the test is to see how many of the Prime customers find it possible to live largely or entirely within the selection of titles that KOLL offers them, and particularly whether they are weaning those customers away from the higher-profile offerings of the Big Six. Perhaps we’ll see Amazon extend the reach of KOLL sometime by offering a Kindle feature package that is cheaper than what Prime has to be to offer free shipping. I’d sort of expect that. Wouldn’t you? Will Amazon have an argument to make in a year or two, to publishers or to authors, saying that there is a substantial pool of desirable readers they that they can only reach by participating in KOLL? But can anybody else but Amazon put together the combination of the audience and title base they have, piggybacking as they are on Prime and willing as they are to buy an ebook just to lend it once to demonstrate that they can? It was been called to my attention by Pam Boiros of Books24x7 that in my prior piece I gave Safari Books Online credit for pioneering the subscription model and the payment by metered usage and that actually credit for both should go to Books24x7. Safari came along a few short years after Books24x7 had started the model which they operate today across a wide range of verticals, serving a mostly institutional customer base. I thank Pam for refreshing my memory, which was the source of the information. Safari is still a great service and the closest thing to a trade subscription model outside the single-publisher efforts, but they followed a path that was originally cut by Books24x7.